When making any Top 5, there’s an obvious caveat that it represents choices from my limited movie-viewing history. This is definitely true with this list. I wouldn’t call myself a Japanese film expert, but I’ve seen some classics. Instead of considering this a ranking of the best movies from Japan, I prefer to think of it as a spotlight on five directors that deserve your attention. Although it was tempting to drop several films by Akira Kurosawa into this group, that was too easy. Instead, I’ve picked five representative choices from some top Japanese filmmakers. This list should offer a starting point if you’re just beginning to explore this country’s diverse movie history. Let’s check out the picks! This clever black-and-white picture from avant-garde filmmaker Hiroshi Teshigahara is a stunning creation that defies an easy explanation. The basic story involves an entomologist searching for insects who's tricked into spending a night in a house in a sand pit. The next day, the local villagers leave him stranded with a strange woman with no means of escape. Employing an eerie score and striking footage of the nasty sand, Teshigahara crafts a haunting story that remains unpredictable until the end. It's not for everyone's tastes, but it provides a remarkable experience if you're willing to take the ride. There were several excellent candidates from Takeshi Kitano, who's built a strong career by combining scenes of quiet beauty with bursts of serious bloodshed. Along with the mournful Sonatine, Kitano's finest work is Fireworks (Hana-bi), a tragic story of a former cop who's willing to do anything to help his wife and friend. It offers a perfect example of his style, which employs a deliberate pace but never feels boring. Even the graphic violence can be beautiful, especially in this movie. Kitano has made bloody epics since this film, including his excellent 2011 release Outrage, but he's never quite equaled this level of creative success. When I prepared my Top 5 Anime Movies (Novice Edition) last September, I placed Miyazaki's Howl's Moving Castle just ahead of this movie. 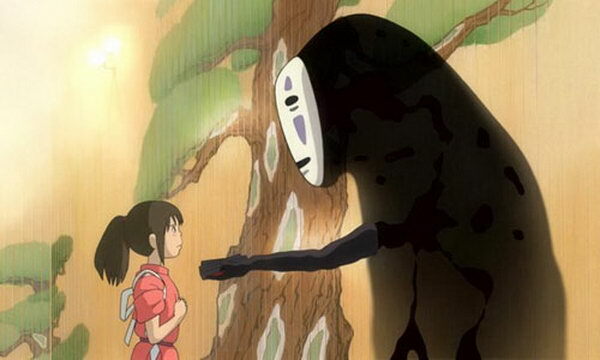 In this case, I changed my approach because Spirited Away is the best example of Miyazaki's work for new viewers. It's the most accessible option and incorporates the key themes from the director's career, including the destruction of the environment. The story follows a 10-year-old girl who enters a spirit world to try and save her parents, who've been turned into pigs. The result is a compelling movie that works for both kids and adults because of Miyazaki's masterful storytelling. I just watched this remarkable family drama last week for my Sight and Sound Poll marathon, and it lived up to its iconic status. Yasujirô Ozu's unique style can be off-putting at first and may lose a few viewers because of the slow pace. It's definitely worth sticking out, however. By the midway point of Tokyo Story, I was totally hooked with this subdued tale of parents visiting their grown-up kids in Tokyo. They quickly realize that their children are indifferent about their arrival and may even want them to leave. Ozu's intimate approach brings us right into everyone's homes and connects us emotionally to the family's plight. 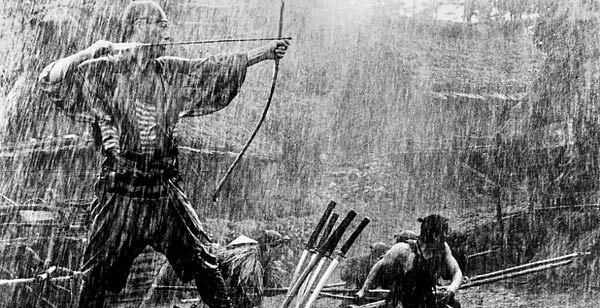 When choosing the most fitting Kurosawa film, I considered High and Low, Rashomon, and Ran, and each is a worthy choice. 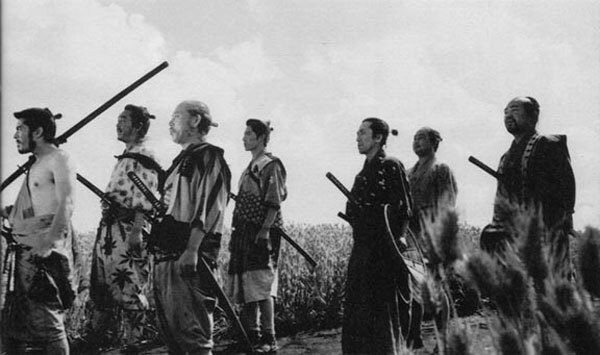 However, The Seven Samurai stands out as his quintessential movie that deserves to be on this list. This grand story of a small group of warriors who defend a village from marauding bandits is one of the all-time great movies. Its epic length can be daunting, but it's definitely a must-see film. Kurosawa uses the time to clearly present each character. This approach raises the stakes for the final battle and keeps us engaged right until the end. Your Kurosawa exploration begins right here. I've only seen Seven Samurai and Spirited Away. Can't disagree with those ;) Definitely to get working on the other ones ASAP! Great! I feel a little better about my picks knowing that you haven't seen them all. I'm surprised at how few Japanese films that I've actually caught over the years. I may need to set up a marathon at some point. Thanks! Japanese film is a serious blind spot for me (well, all Asian film, to be honest). Of these, I've also only seen Seven Samurai and Spirited Away, like Castor. :) I haven't even heard of Fireworks - though I did happen to see Kitano's newest (Outrage) at a fest last year and enjoyed it. Definitely an area I need to work on, badly. Jandy, I'm right there with you for Asian film as a whole, especially Korean film. I realized when preparing this Top 5 that I have a long way to go, even for the obvious top Japanese directors. If you liked Outrage, I highly recommend seeing Fireworks and Sonatine at a minimum. They're a little more slow-moving, but it's definitely in the same vein. Thanks! I absolutely love Woman in the Dunes. It is equal parts frustrating and hypnotic. Dave, it's good to hear that you're also a fan of Woman in the Dunes. I caught up with it while doing a run through Ebert's Great Movies book a while back, and it was a huge surprise. I knew little about it going in, which made it even more stunning. I agree that it can be frustrating at times, but it more than makes up for it because it's so original. Well, I've seen around 50 Japanese films and I've never even heard of your number 4 choice. 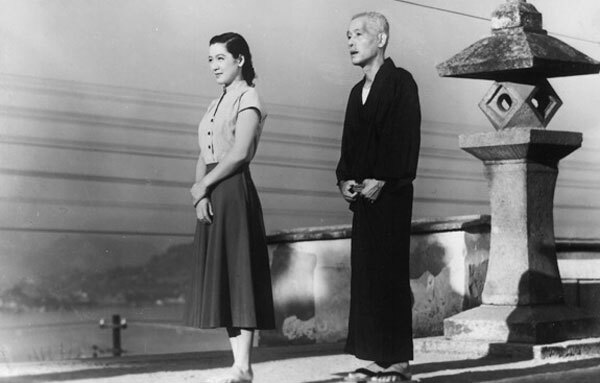 I've got Tokyo Story sitting on my coffee table right now from Netflix, waiting to be watched. I completely agree with Seven Samurai being number one. In my review of it I said it was the greatest non-English language film ever made. Like you, I might have a Top 5 of just Kurosawa films unless I limited it to one per person. I also consider Spirited Away to be the best Miyazaki film, so I agree there, too. A classic Japanese film that can be tough going in places is Sansho the Bailiff, but it is a well made movie. Tampopo is a film that has some good humor in it. Grave of the Fireflies is one of the most depressing movies I have ever seen, but it gets high marks for the impact it achieves. The recent Hula Girls is a feel good kind of movie. Shall We Dance is the original that got remade in to a Gere/Lopez film, but don't hold that against it. 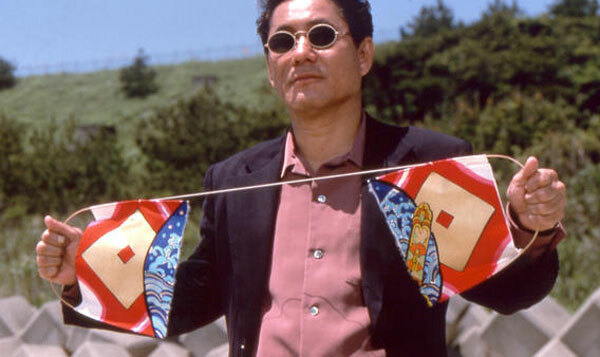 Battle Royale has Takeshi Kitano, not as director, but as an actor and it is a cult classic. Chip, given the number of Japanese films that you've seen, I'm surprised that you haven't heard of Fireworks. Have you seen any Kitano films? I've heard good things about Sansho the Baliff and Grave of the Fireflies, despite its content. I've also heard that Battle Royale is a must-see cult film. Thanks! Great write-up! I LOVE Japanese cinema. Kurosawa, man... that guy is just one of the best that ever lived. High and Low, Rashomon, Dreams, Ikiru - all masterpieces. Other Japanese flicks I enjoy: Audition, Ringu, Tokyo Story, and on and on. Thanks Alex! I've seen all of those Kurosawa films that you mention, and they're all excellent. At some point, I need to do a Kurosawa marathon to catch up with Yojimbo and a few others. 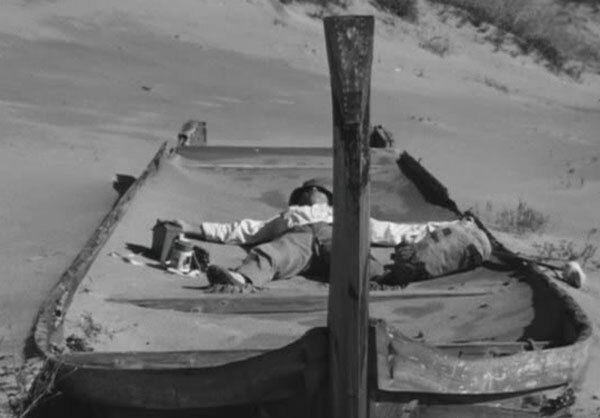 Happy to see appreciation for Hiroshi Teshigahara and Woman in the Dunes, such an underrated director. If you're planning to watch Kurosawa's work, I'd start with Ikiru, for me, it's his finest. Lost In Translation (2003) I just reviewed, takes place in Japan, does that count? 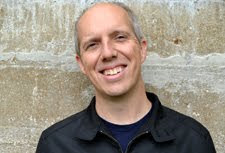 Chris, I have seen Ikiru and agree that it's great. It's a really sad film. I didn't consider Lost in Translation, though it is an excellent movie. I almost did Top 5 films that take place in Tokyo, and it would have definitely made it. Thanks! Am I a weirdo if I prefer the other two Teshigahara films from that trilogy? Granted, I loved them all, but Pitfall and The Face of Another struck more of a chord. I'm glad to see any of the three getting attention. I've done a great job of tackling Kurosawa and a really poor job of tackling much else from Japan. There are plenty of films here and there that I've seen, mostly samurai movies. But generally speaking, Japanese cinema deserves more attention than I've given it. John, I actually haven't seen the other films in the trilogy, so I can't comment, but after watching Dunes, I'd expect they are definitely worth checking out. I'm with you on Japanese films, as I've also seen a lot of Kurosawa but not enough of the others.